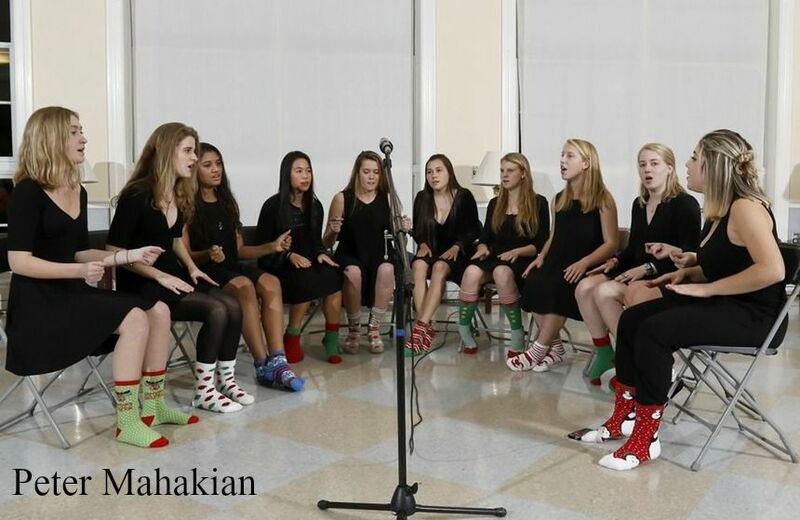 Spirens sing in socks at the first ever Can Jam in 2015. On Friday, November 11, Hopkins’ three a cappella groups - Spirens, Harmonaires, and Triple Trio - will gather in Upper Heath to perform in Can Jam, a concert to benefit the Connecticut Food Bank. This year, Can Jam will feature a variety of songs from all three a cappella groups. Favorites include Triple Trio’s Travelin Soldier by Dixie Chicks, Harmonaires’ When I’m 64 by the Beatles, and Spirens’ 1950 by King Princess. Given that the concert is in November, the a cappella groups only had two months to practice and perfect their song selections. “It’s been a bit difficult scheduling enough time to get our songs ready to perform so soon, but now that we have our schedule set, I think we’ll be able to pull it off! It’s busy, but also exciting, as we’ve been trying to bring Can Jam back for a long time,” said DeNaples.